Artistic dynasty is a special space where creativity of each single member develops according to specific unspoken laws passed on nonverbally but on a deeper subconscious level. It imposes certain restrictions: each new generation feels the pressure of the legacy and, at the same time, has to not only justify the family tradition but to seek their own unique place for individual activity. To follow without being dissolved, to support without betraying yourself. 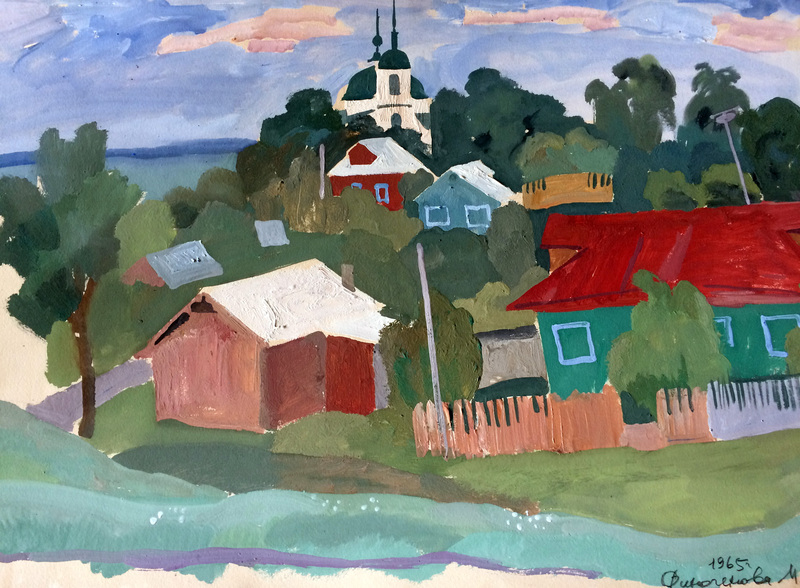 Such is the story of the artistic family clan of the Stekolschikovs - Finogenovs which stems from the well-known war artist Konstantin Finogenov, master of war sketches, and his wife Vera Orlova who reflected the life of Soviet people in her diverse artworks. 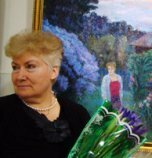 The artistic parents, who dedicated their whole life to art, lay a solid foundation for the artistic development of the next generation in the person of their daughter, Mlada Finogenova, who further married another bright representative of the Russian art school Vyacheslav Stekolschikov. 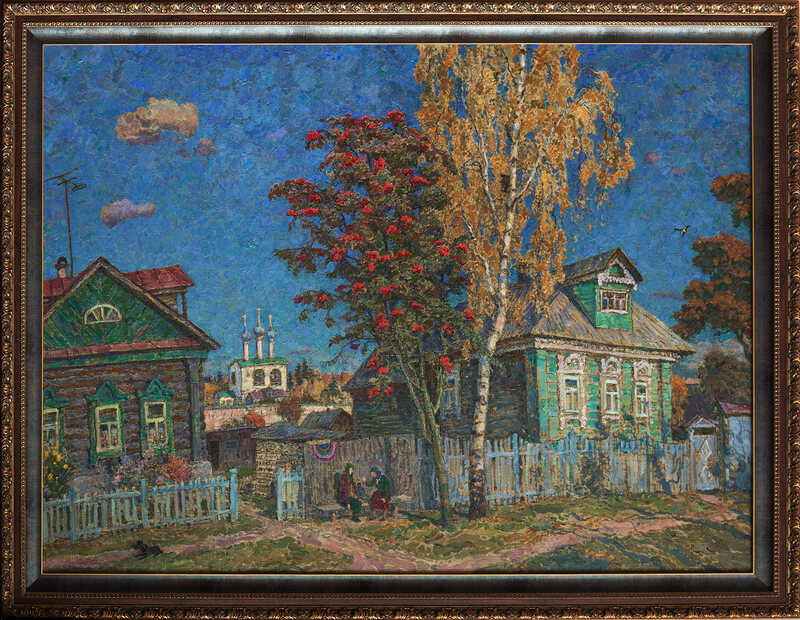 As a result of this matrimony one more worthy successor of the artistic tradition was born – Anton Stekolschikov, who, in his turn, passed on his love for art and the gift to his daughter Ksenia. 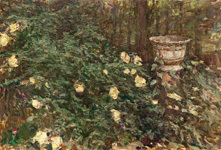 Looking at the artworks of all the four painters, you will certainly detect subtle inner similarity, which not only reflects the family’s adherence to realistic tradition and their sophisticated artistic background (all the family members graduated from Surikov Institute), but also a specific «family» manner. Despite her rich legacy Mlada Finogenova can be rightfully called the master of the interior painting. 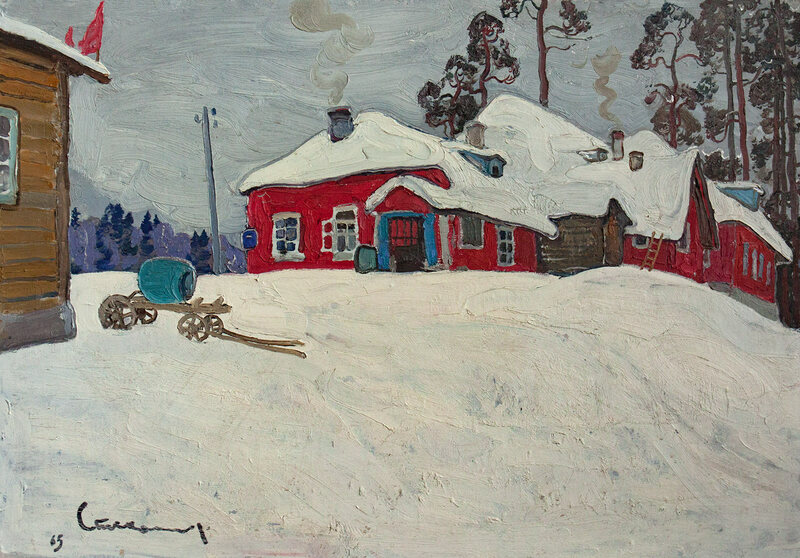 Life in the Russian province, especially in the family house in Borisogleb, dominates in the artist’s creative activity. Her interiors, just like her magnificent landscapes, are full of sunlight and color. 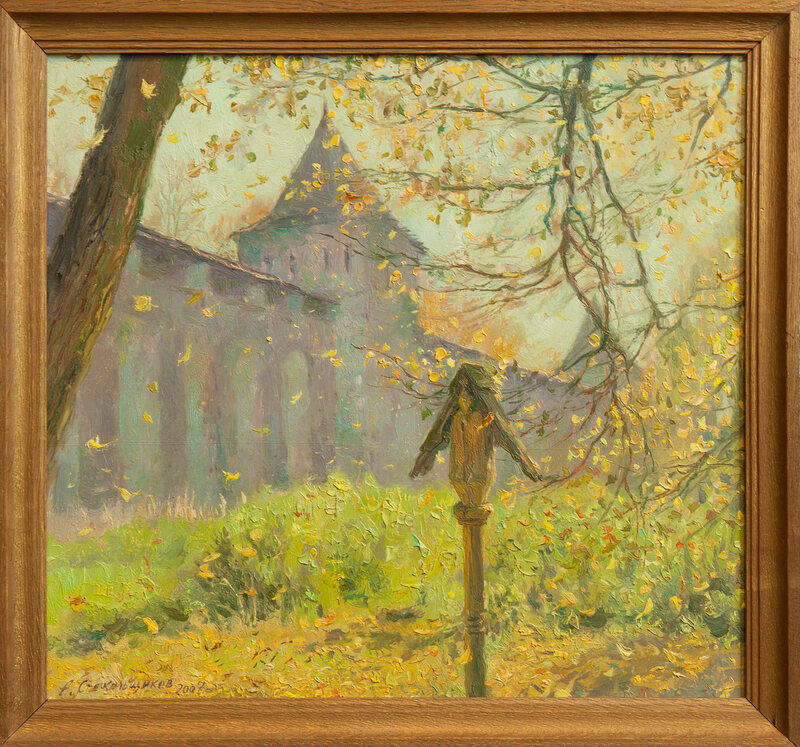 When changing the chord from intensive to pastel, the artist, nevertheless, tends to keep a surprising balance of light and shadow which makes her artworks so vibrant and warm. The wooden walls of the log-house seem to emanate the scent of wood while flowers in the vase tremble in the wind. Accentuated accuracy of detail does not in any way immobilize the canvases since their emotional intensity makes them dynamic and impressionistically light. 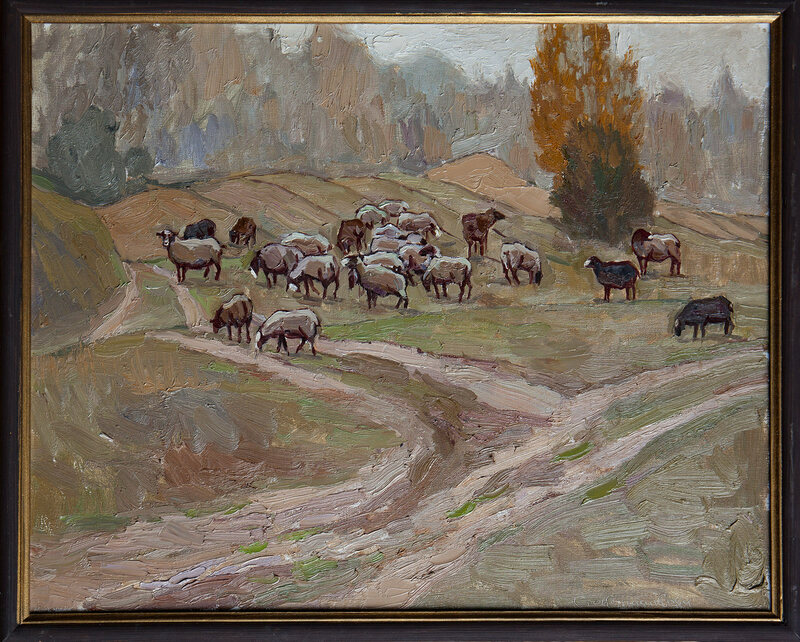 However, the start of Mlada Finogenova’s artistic career, as well as her husband’s, is directly connected with graphic art. 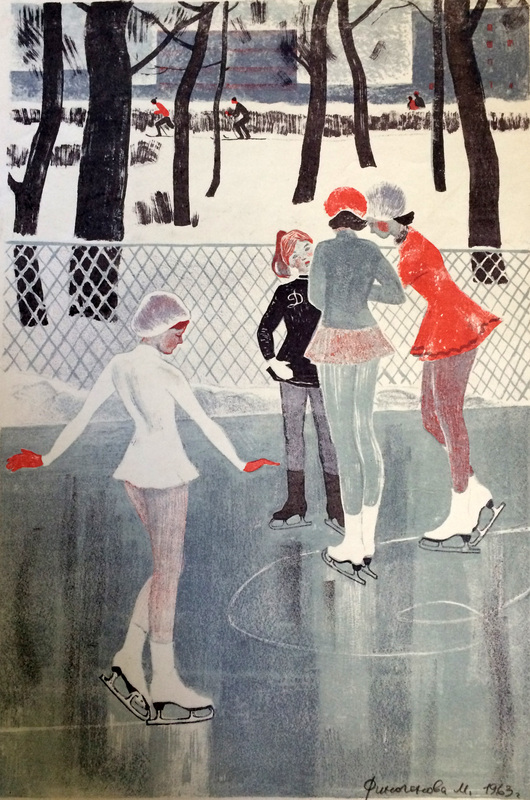 Her love for sport, which she was no stranger to having become figure skating champion at eleven, was translated into art: Mlada headed the sport section of graphic artists at the Union of Artists and in 1960s she created a series of superb lithographs and etchings dedicated to sport. 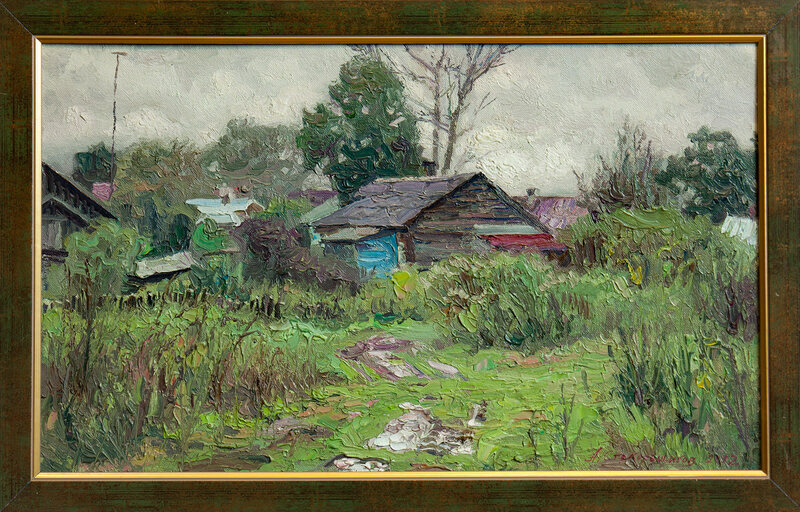 Vyacheslav Stekolschikov's creative legacy includes luxurious Russian landscapes, massive and spacious, conveying Russian scale and simultaneously completed in an exquisite combination of colors. They lack sunny and bright tints. The world of Stekolschikov senior is rather mysterious, it conceals more than it reveals. Stepping into his paintings reminds wandering about a magic forest where mighty trees reach for the sky cut with flashes of light, and his chaste churches and austere village houses become a solid part of the landscape, with no attempt to take over capricious nature. A completely different character is revealed in the artist’s abundant graphic collection which marks the beginning of his artistic career. 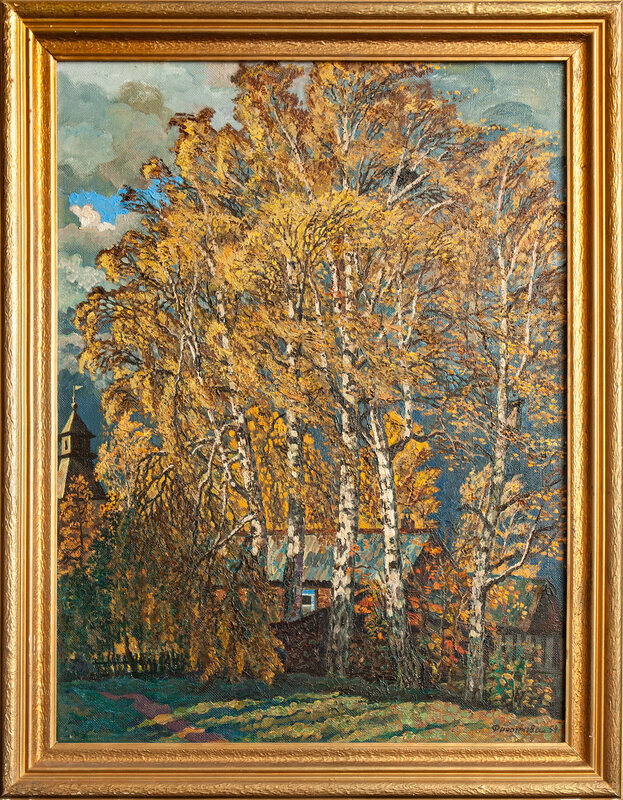 It was due to his graphic artworks, both in aquarelle and gouache and authors lithographs ("Arctic", "Virgin soil", "Azov" series of the 1960s), that made Vyacheslav Stekolschikov widely popular. 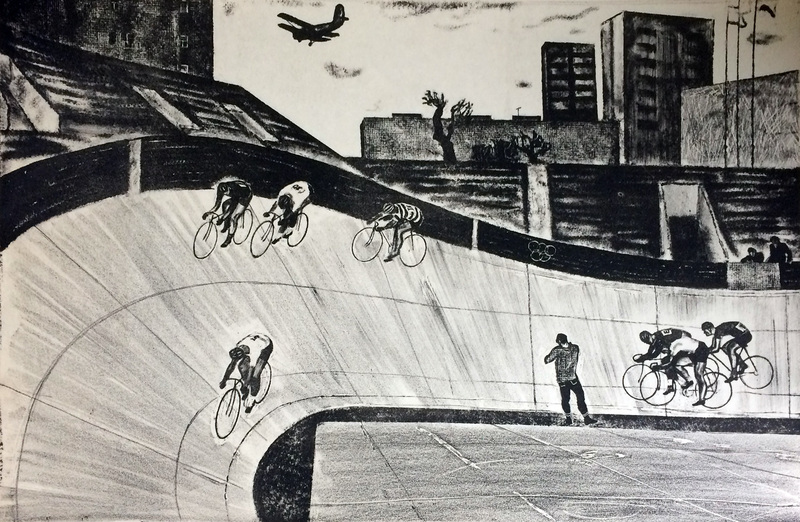 Urban landscape and people in the variety of their activity take center stage here. 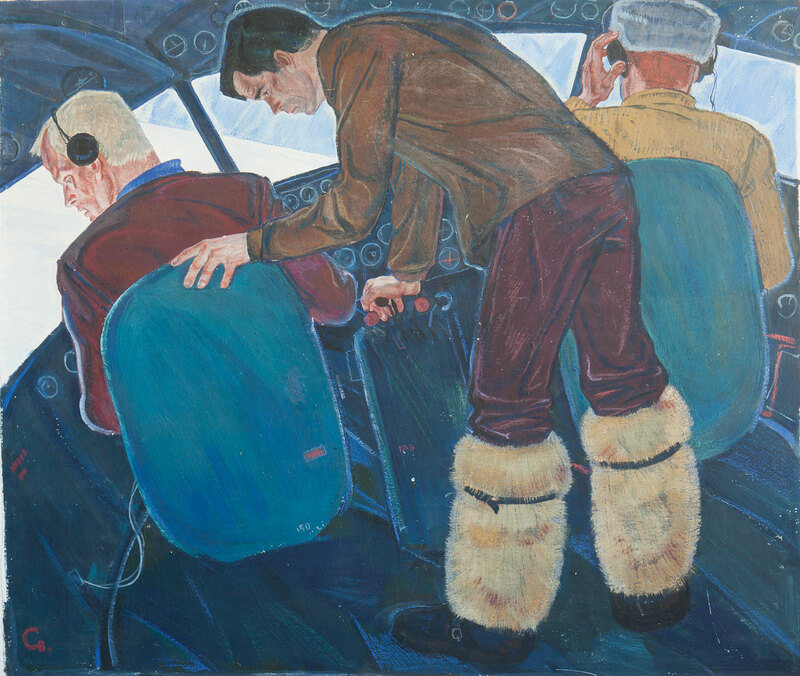 They are pilots and explorers, workers and soldiers, whose images, gestures and inner world are reflected with a spice of humor, lightly and in detail. The artworks of Stekolschikov junior combine his mother’s “sunniness” and his father’s “austerity” in an amazing fashion, giving birth to an entirely different image of Russian nature which recognizes its changeable character. They are felt as more dramatic and tense, sometimes even conflict-driven. 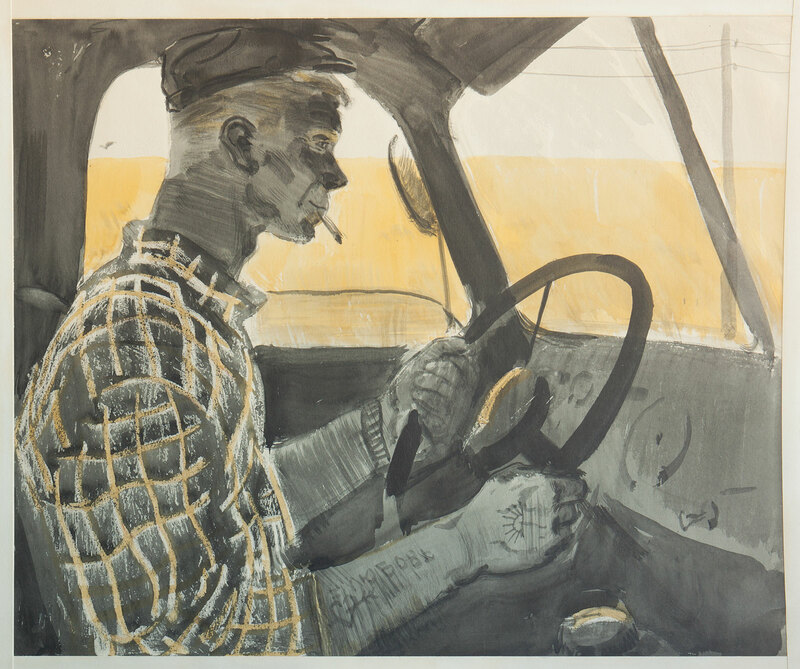 Meanwhile Stekolschikov junior’s works, just like his parents’ ones, show nature as incredibly generous and powerful. The colormap of Ksenia Stekolschikova, the youngest member of the clan, is quite different from the other family. The emphasis of her works has shifted from external light to the internal one. Ksenia’s paintings demonstrate both accuracy in detail and love for the interior but they convey her inner vision most distinctively. The artist wants not only to give the realistic view of the surrounding world but also to show its shadow side, to look into the heart of the reflected space. 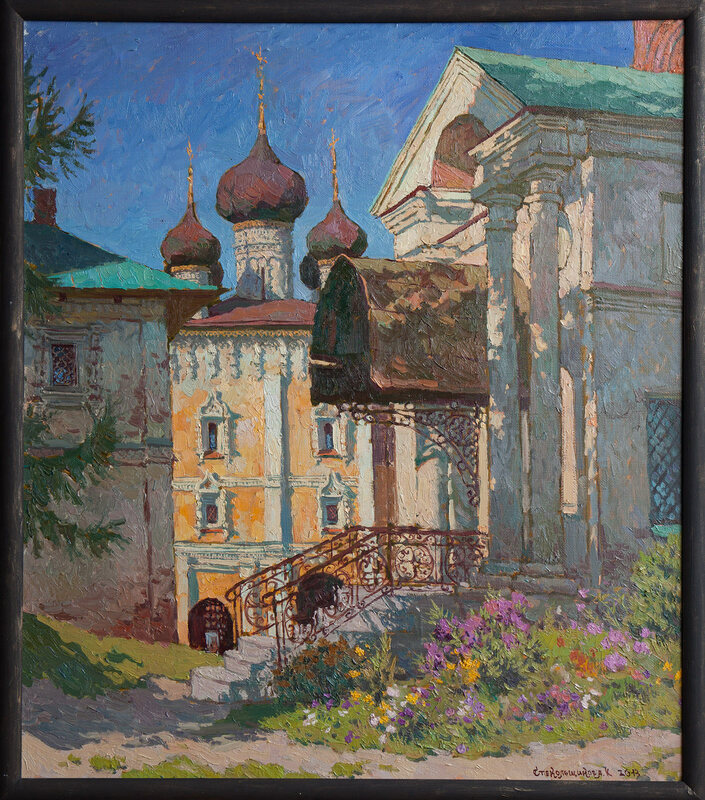 Each of the four artists, undoubtedly, adheres to the deep-rooted tradition of the Russian artistic school but at the same time they contribute the spirit of time and their individual vision to it. Through landscape and interiors, portraits and architecture each painter communicates various emotions emerging not only within one family but also within the whole country, and they refract intricately in the life of three generations. A deep look of a thoughtful viewer will surely catch subtle psychological nuances which distinguish the art of each author while uniting them in common dynamics revealing more and more shapes of the eternal.